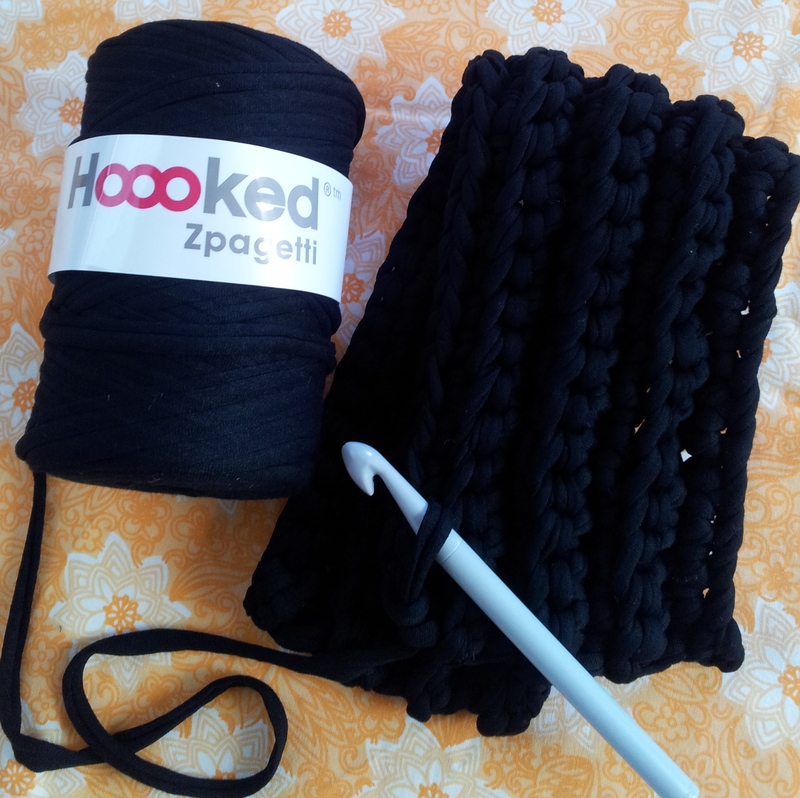 Ever wondered how Zpagetti and Hooplayarn’s compare? 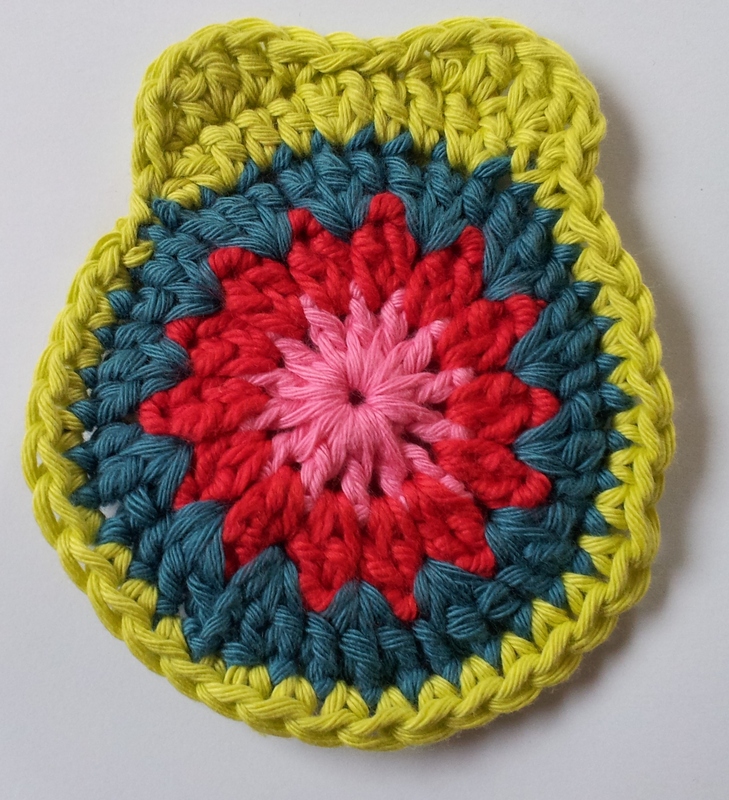 Since making my Zpagetti yarn bag I have had plans to make a crocheted Granny Dollie Rug. I’m always keen to try out new yarns, so was delighted to come across Hooplayarn for my latest ‘StitchShare’ project. 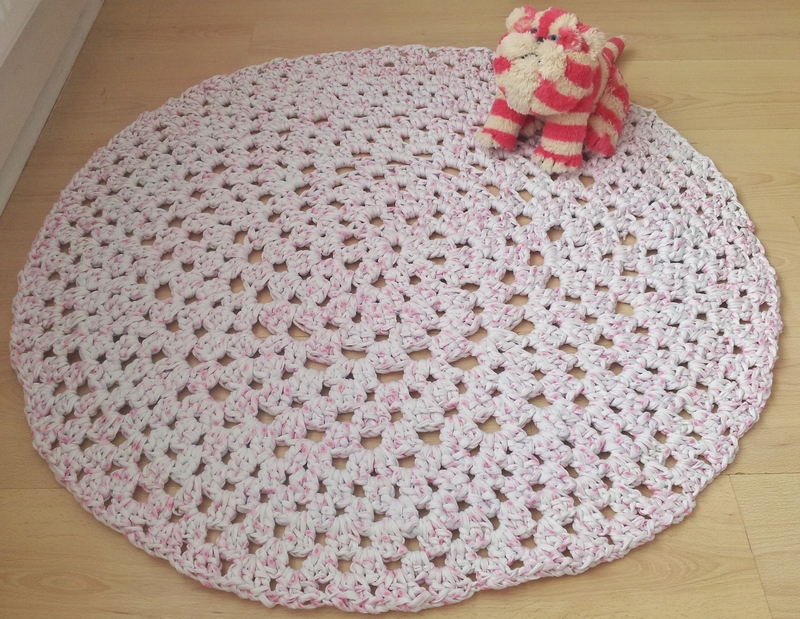 My rug is mainly made up of UK treble (US double) and chain crochet stitches. A key aim of the project is to create a circle that will lay flat on the ground, each time I finished a round I threw her (she is called Daisy!) on the floor and had a good look at her edge. If the rug was lying flat that was perfect. If the edge of the rug was curving down / under, then it meant I needed to increase my stitches on the next round. If the rug edges curved up or became wavy, it was a sign I had too many stitches. Do you want to see her story? 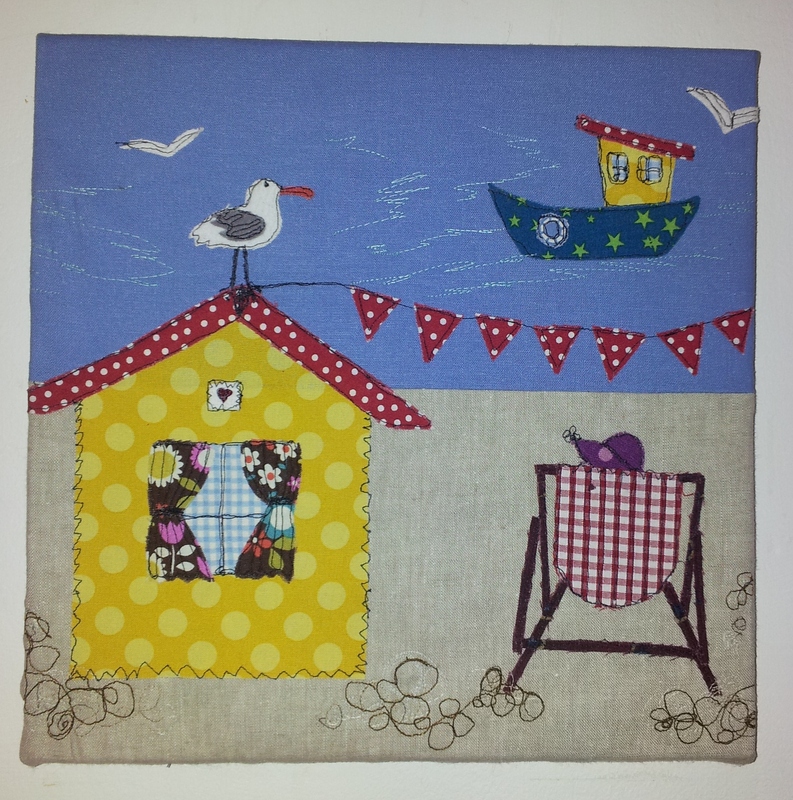 I have just got back from my first ever free-hand machine embroidery session and totally loved it! 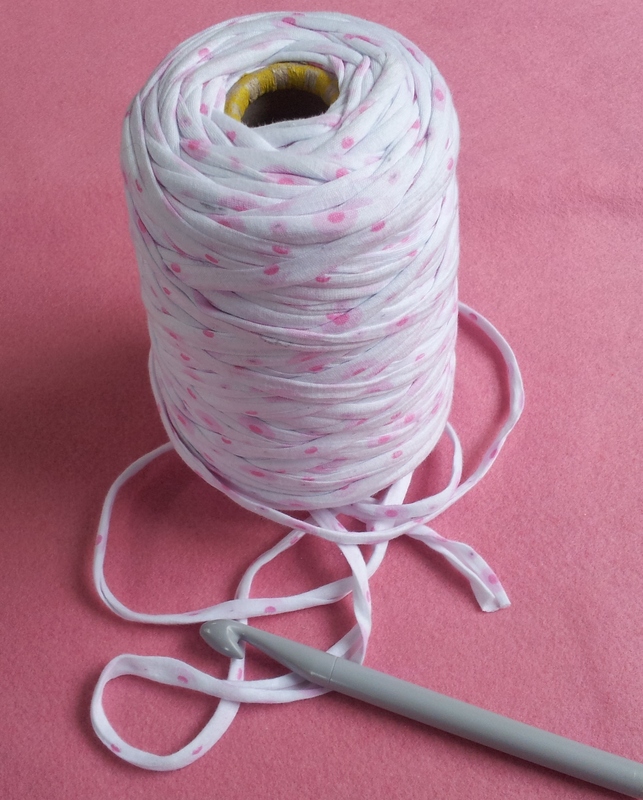 I would encourage anyone to have a try – it was so therapeutic as there is no need to keep your lines straight – you just go with your instinct and let your thread and needle do the ‘painting’. The course was delivered by Lara Sparks @ The Eternal Maker in West Sussex. Lara was a superb tutor and her work is amazing. To help remember some of the key things I learnt today I thought it would be a good idea to jot down a few notes. I have found a fabulous Owl crochet pattern with a great photo tutorial over on Bunny Mummy’s Blog. The crochet owl was easy to make and I love him so much (he is already called Ollie) that I couldn’t wait to share some photos with you. 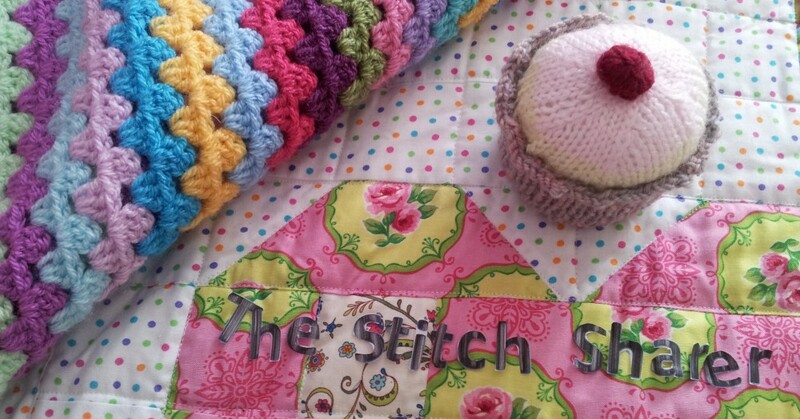 Although the pattern is written in US terms, Bunny Mummy gives you a helpful conversion guide for UK term hookers – this stitch summary chart might also help. 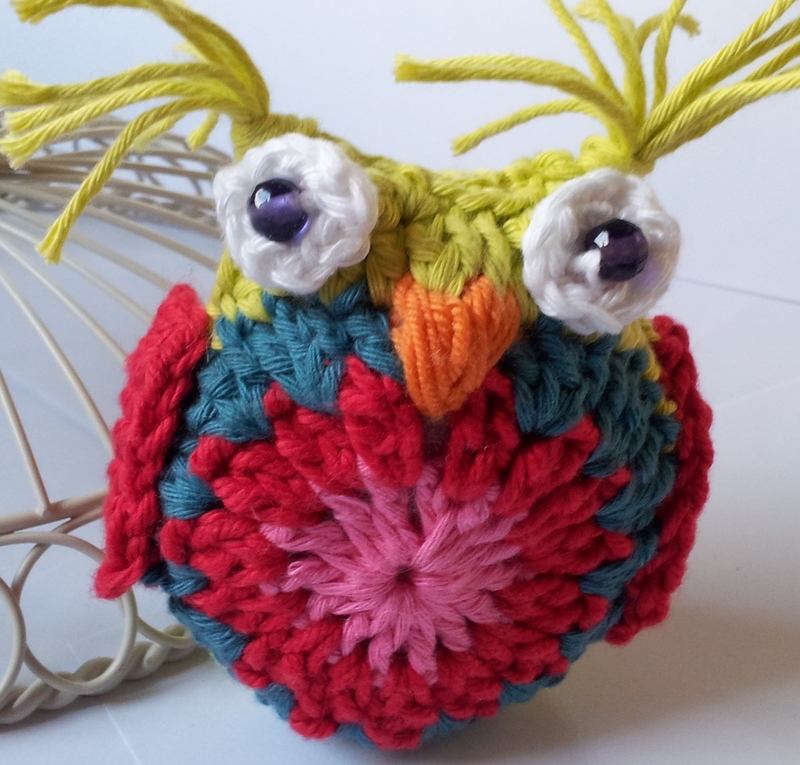 If you are after a cute little crochet owl of your own, pop over to Bunny Mummy’s blog to grab the pattern. Just incase you are in need of any more encouragement here are a few photos of little Ollie’s creation. The main body pieces have a Granny Circle at their heart.